The Utgard 13.2 TC Tent from Nordisk is named after the home of the Norse giants and truly lives up to its name, it really is a home away from home. The square shaped design and room for up to 6 people make it ideal for your glamping adventures with friends and family. 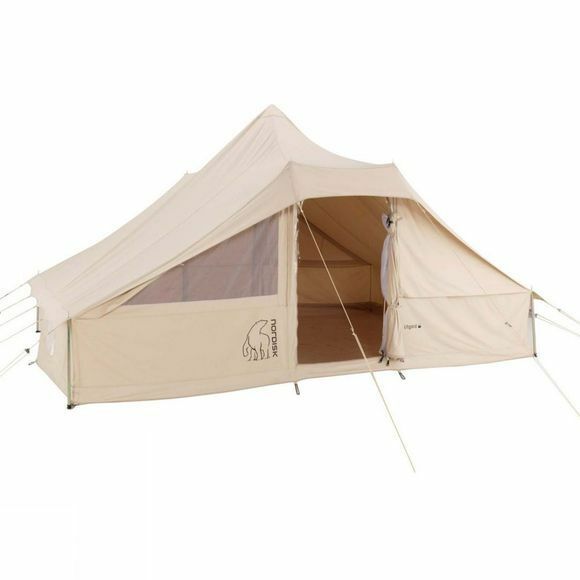 With a door and windows on both sides and the two lower small windows at ground level increase both the ventilation and natural light into the tent so you forget you are even in a tent. You don't have to sacrifice light or ventilation if the bugs are out as all windows and doors feature mosquito bug nets. 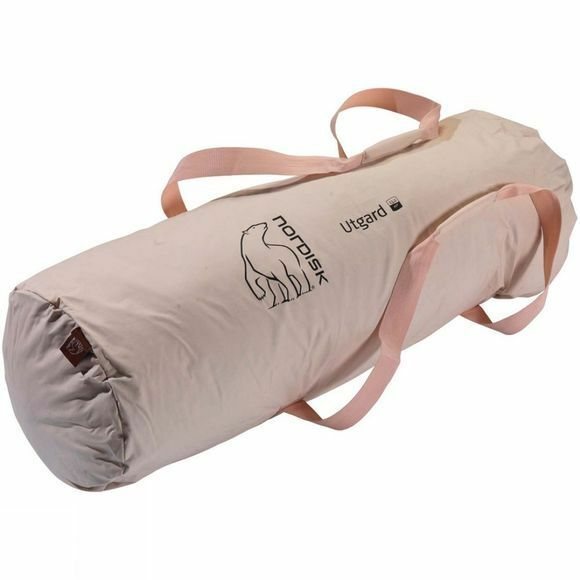 Made from a breathable cotton fabric, you get excellent sleeping conditions.